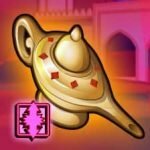 Rival Gaming has introduced an online slot machine that will take you to the magical past of Middle-East, the birthplace of the popular characters like Sinbad, Aladdin, and Genie. 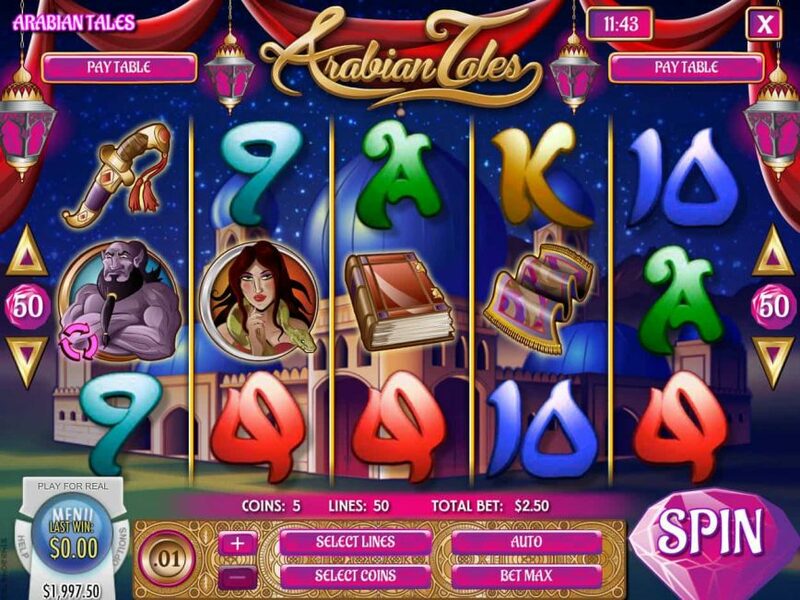 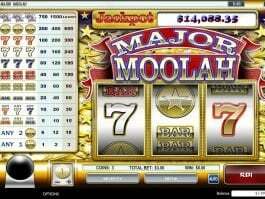 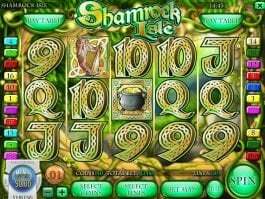 The 5-reel and 50-payline Arabian Tales is here to help you win the highest prize worth of 2,500 coins and other attractive features that can multiply your winnings by manifolds. 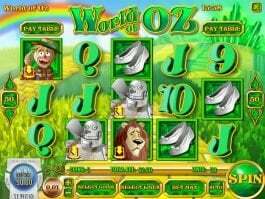 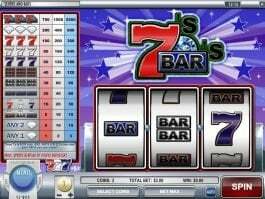 The entire slot machine has been designed with characters and stuff taken from Arabian Nights, as you find symbols of a girl, a magic carpet, a one-eyed baddie, a smiling turbaned chap, a book and a jeweled dagger on its reel. 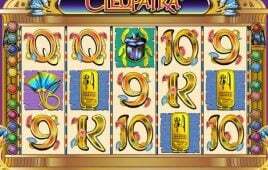 The magic lamp is the expanding wild here that will also be able to form winning combination. 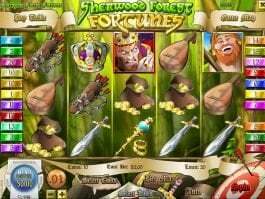 The online casino slot is featured with two scatters– the tiger and the genie. Genie will trigger up to 50 free spin rounds with a 3x multiplier, while the three or more old man jackpot symbols will secure winnings up to 2,500 coins.